How will I be matched with a child? All match relationships are coordinated by our trained Enrollment and Match Support Specialist. All match relationships are based on shared interest and needs. We try out best to make a perfect match! How do children come into the program? Children are usually referred by their teacher, guidance counselor or parent. Who are the children in the program? Children that are referred to our program are usually struggling emotionally, socially, academically, or behaviorally. Most children are between the age of 6-14 years old. If matched prior to the age of 14, children can stay in their match relationship until 18 or graduate from high school. It is recommended that you keep a consistent schedule of outings and that you see each other on a regular basis. We will provide specific guidelines on expected frequency of activities with your Little. Until your relationship is established the outings will also depend on the comfort level of your Little’s parent, your Little, and you. If your Little is younger, a shorter outing might be better. The simple answer is none. Big Brothers Big Sisters’ staff stress during the initial match that all parties should plan no-cost, low-cost activities. Each month our agency hosts a match activity event, where all Bigs, Littles, and families are invited to participate. These events are often free. Events can be as simple as group game night to our annual picnic. We are fortunate to live in an area that has an abundant array of things to do. Explore Rib Mountain, attend a 400 Block event, go to the Marathon County Library and check out the awesome aquarium, hike in Council Grounds State Park, check out Grandfather Falls, go ice skating, a bike ride, sledding or have an old fashion snowball fight. The possibilities are endless. If you are still struggling on “what to do” check out our monthly activities calendar, grab a City Pages or contact your Enrollment and Match Support Specialist. We are here to help! Can I bring my spouse/friend/family member on outings? What kind of support can I expect from BBBS once I get matched? From inquiry to match closure you will be supported every step of the way by one of our exceptional Enrollment and Match Support Specialist (EMSS). Our staff is professionally trained to help. Each match is assigned a specific staff member to take them on a wonderful journey of mentoring. Any question, concern or achievement, your EMSS will be there. How do I make a donation to Big Brothers Big Sisters? No donation is too small, and any amount is appreciated. We could not successfully run our mentoring programs without the generous support of our communities. Big Brothers Big Sisters receives no federal or state funding. All donations stay local to support our mentoring programs in our communities. How does Big Brothers Big Sisters of Northcentral Wisconsin receive its funding? Big Brothers Big Sisters of Northcentral Wisconsin relies on many different funding sources. Support is generously given by: Marathon County United Way, Merrill Area United Way, private foundations, fundraisers such as: Bowl for Kid’s Sake and Big Taste, private donations and annual giving campaigns.  Big Brothers Big Sisters of Northcentral Wisconsin receives no federal or Big Brothers Big Sisters of America funding. How do I make a donation in honor or memory of someone, and let them or their family know? On our donation page, in memorium, is an option of donation. Big Brothers Big Sisters of Northcentral Wisconsin will send the family a special card acknowledging your gift. Please contact Linda Koeopke, lindak@bbbsncw.org with any questions or details you may have. How can I get involved in helping to raise funds for the Big Brothers Big Sisters agency in my community? We welcome your support. Whether you want to have a bake sale or car wash – go for it. Contact Linda Koepke, lindak@bbbsncw.org, she can help you with marketing to make your event a success! Where can I find information on a Bowl for Kids’ Sake event in my area? We currently have Bowl for Kids’ Sake’s event in the Wausau Area at Dale’s Weston Lanes and in Merrill at Les & Jim’s Lincoln Lanes. Coming soon: Abbotsford and Antigo. Stay tuned. How can I participate as a bowler? A sponsor? We would love to have you. Check our website for Bowl for Kids’ Sake updates. We are here to help! Contact Linda Koepke, lindak@bbbsncw.org with any Bowl for Kids’ Sake questions- she will answer all of your questions.